My guest is Nathan Smith. He serves as a minister at University Christian Church in Cincinnati, Ohio, where he lives with his wife. We discuss the Lectionary texts for the Fourth Sunday after The Epiphany (B): Deuteronomy 18:15-20,1 Corinthians 8:1-13 and Mark 1:21-28. My guest is Geoff Holsclaw. He's a co-pastor at Life on the Vine in greater Chicago and teaches at Northern Seminary. We discuss the lectionary readings for the Third Sunday after Epiphany (B): Jonah 3:1-5, 10; 1 Corinthians 7:29-31 and Mark 1:14-20. My guest is Tommie Marshell. She is the host of a new podcast, "Backsliding." We discuss the lectionary passages for the First Sunday after the Epiphany (B): 1 Samuel 3:1-10 (11-20), 1 Corinthians 6:12-20 and John 1:43-51. Episode 25: Why Was Jesus Baptized? 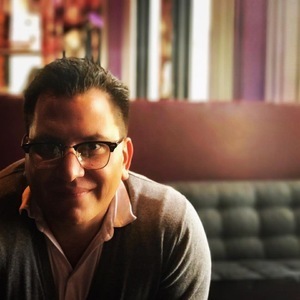 My guest is Matt Tebbe. He co-founded Gravity Leadership, and is planting a church, The Table Indy, in the northeast suburbs of Indianapolis. We discuss the lectionary passages for the First Sunday after the Epiphany (B): Genesis 1:1-5, Acts 19:1-7 and Mark 1:4-11. My guest is Frederick Schmidt. We discuss the texts for the Third Sunday of Advent (B): Isaiah 61:1-4, 8-11; 1 Thessalonians 5:16-24 and John 1:6-8, 19-28. My guest is Mandy Smith. She's the lead pastor of the University Christian Church in Cincinnati, OH. We discuss the lectionary passages for Christ the King Sunday: Ezekiel 34:11-16, 20-24; Ephesians 1:15-23 and Matthew 25:31-46. Michelle is an inner-city high school English teacher turned pastor, which means, for her, church looks, sounds, and smells a little different. We discuss the lectionary passages for the Twenty Fourth Sunday after Pentecost (A): Judges 4:1-7, Thessalonians 5:1-11 and Matthew 25:14-30. My guest is Zac Hicks. He's an author, musician and serves as Canon for Worship & Liturgy at Cathedral Church of the Advent (Birmingham, AL). We discuss the lectionary passages for the Twenty Second Sunday after Pentecost (A): Joshua 3:7-17, 1 Thessalonians 2:9-13 and Matthew 23:1-12. Episode 15: Who Is David's Son? My guest is Greg Strawbridge, CREC pastor, podcaster and author. We discuss the lectionary passages for the Twenty First Sunday after Pentecost (A): Deuteronomy 34:1-2, 1 Thessalonians 2:1-8 and Matthew 22:34-46. My guest is Bill Borror. He's the co-host of the New Persuasive Words podcast. He's also a pastor and church leadership consultant. 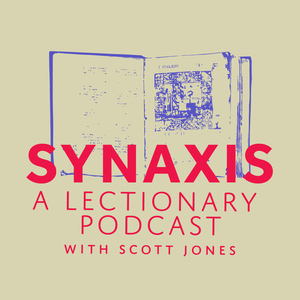 We discuss the lectionary texts for the Twentieth Sunday after Pentecost (A): Exodus 33:12-23, 1st Thessalonians 1:1-10 and Matthew 22:15-22. My guest is Mandy Smith. She's lead pastor of University Christian Church in Cincinnati, OH. We discuss the lectionary passages for the Nineteenth Sunday after Pentecost (A): Exodus 32:1-14, Philippians 4:1-9 and Matthew 22:1-14.